These Three Kings From Orient Aren’t……Maybe…..& Other Super Complicated Sciencey Stuff! Attention class!! Here is your non-requested penguin tutorial. 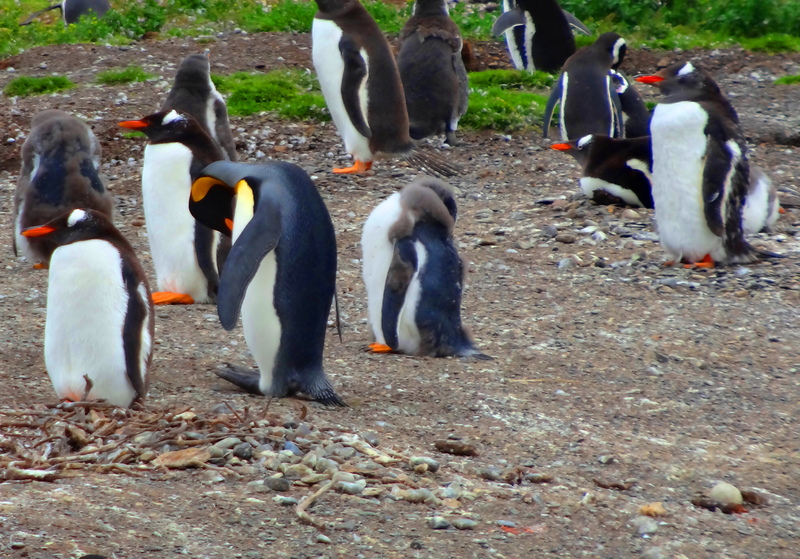 We learned a lot about penguins on our Antarctica trip. The best factoid I learned? If a penguin is not liking you, they will projectile vomit their stomach contents at you, which consists essentially of regurgitated fish and penguin bile. Hence when visiting penguins, it is very important that they “be” liking you! I am so good at super complicated sciencey stuff like this. And sorry, I know this is putting a damper on all the cute penguin lore of late….. These Kings are not supposed to be here. Last time we were in the area we saw kings where they were not supposed to be also. Maybe the Kings have decided they like the real estate just north of Antarctica better. Less predators, warmer weather, why not relocate to warmer climes? Smart kings. Maybe they will make their way to the Orient after a while! Kings are the second largest of the penguin species, next to the Emperors. 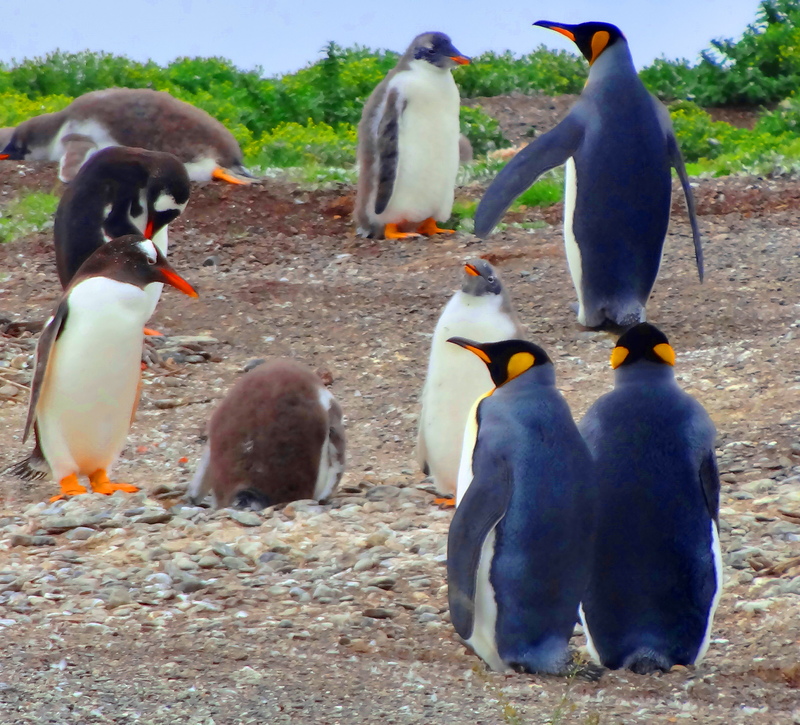 They live in the northern Antarctic and breed on the subantarctic islands, and errrrr, where ever the heck else they please……..thank you. This is a Magellanic chick and it’s mother. 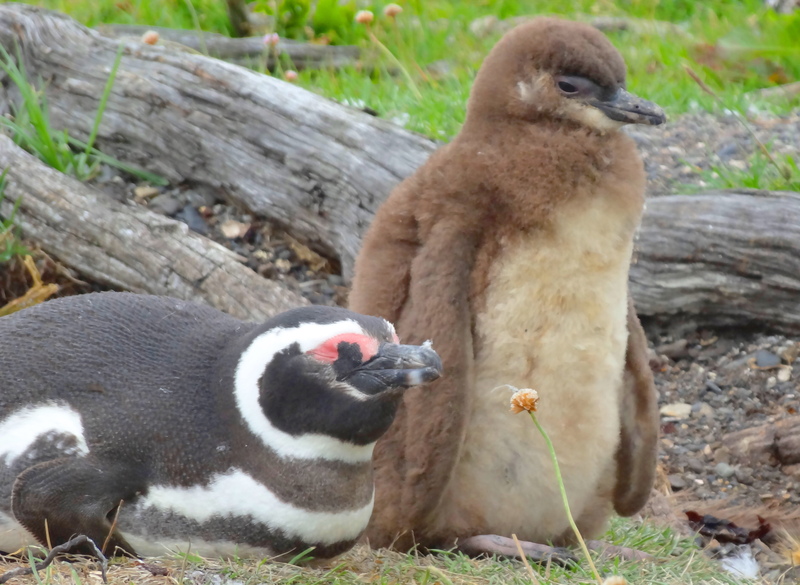 The Magellanic is a South American Penguin. Gentoos are large and hang out with the Kings. They have orange beaks and are native to the South Georgia Islands. Unless of course, you happen to spot them off the coast of Hawaii. If the Kings can move up in the world, why not the Gentoos? Fair is fair. Here is a shot of the colony. They like to live close by their neighbors just like in suburban American neighborhoods! 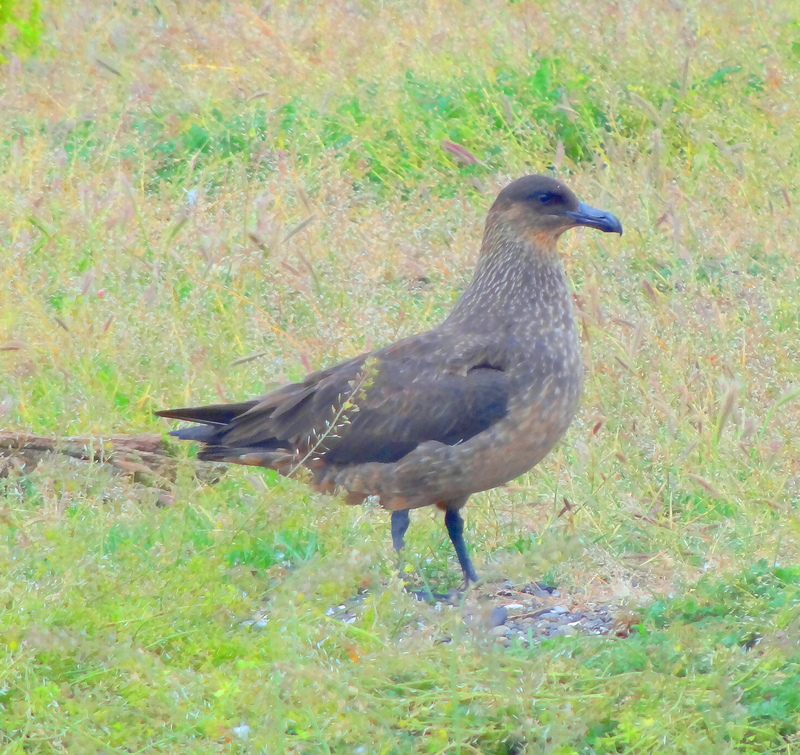 Here is the penguin’s arch enemy, the Skua, who like to eat the chicks. 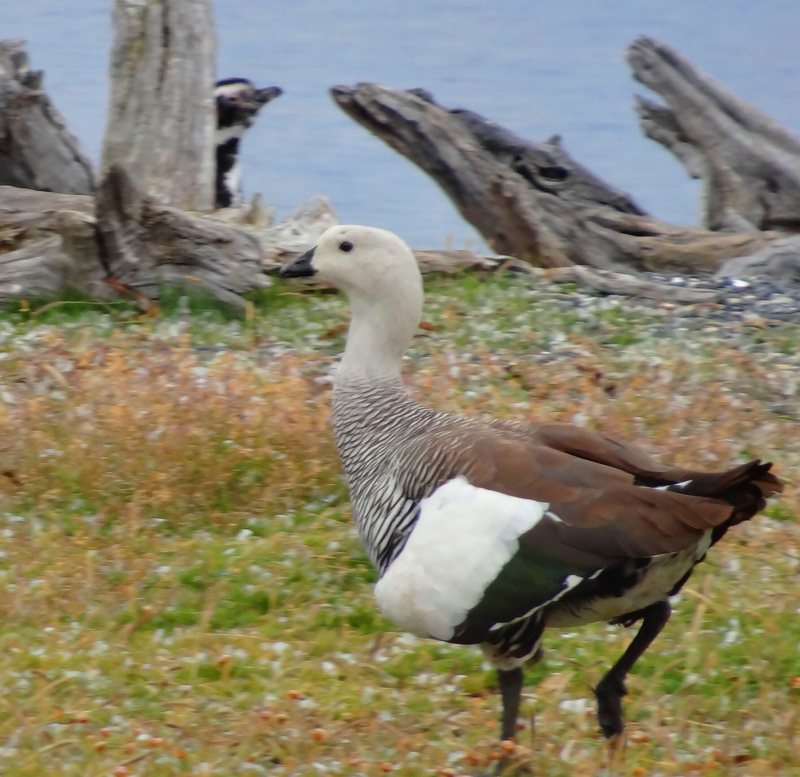 An Upland Goose was hanging out with the penguins also! He probably wasn’t supposed to be here either…. silly goose! Okay, that is it for your penguin (and other critter) tutorial. This lesson has seriously taxed my limited brain circuitry. But you do have to admit it is true that traveling is very educational. Now we all know to NEVER piss off a penguin! the fluffy baby ones are sooooooo cute! Adorable is the only accurate word! Those penguins are cute. Birds can be so colourful but as most beasts, including humans seem to have unpleasant habits! You are right, we all have some! I am afraid that I have to disagree with you on the 2nd and 1st largest Penguins. The largest of the lot is THE PENGUIN from the Batman Series. He is really big in height and girth. And he acts much better than the kings. Have a great trip home (better you than I) and enjoy a wine to take the edge off the trip. Say hello to the Wagnerphile for me. How could I have forgotten THE Penguin. I liked Burgess Meredith the best. The one true PENGUIN!!! You have a very critical eye. That is a good thing. Yep. Even though I need bi-focals. Spectacular, I usually think of penguins as black, white and grey but these have such vibrant blues and oranges going on. Glad you avoided the regurgitated stomach treatment. Just call me critter queen…….Jim does. The little ones are so cute!! Yes, fluffy little vulnerable babies! I now feel very informed about penguins. But what makes penguins like us? Giving them free food? Even though the natural order is so un-natural now, with too many species facing extinction. The biologist told us to keep our distance from the penguins, obviously the penguins didn’t listen to him. They just were curious and very friendly and unafraid. They snoozed a lot after checking you out. They only got upset when we left. I am wondering they do the same if they do not like another penguin? Seriously intriguing question. The penguins reguritate food to each other of course for the chicks, but even after the chicks are grown, they do it. It seems like a social thing. Fascinating. You should have been there to ask the penguin biologist. Bottom line. It seems likely that it wouldn’t bother a penguin at all to be reguritated on. 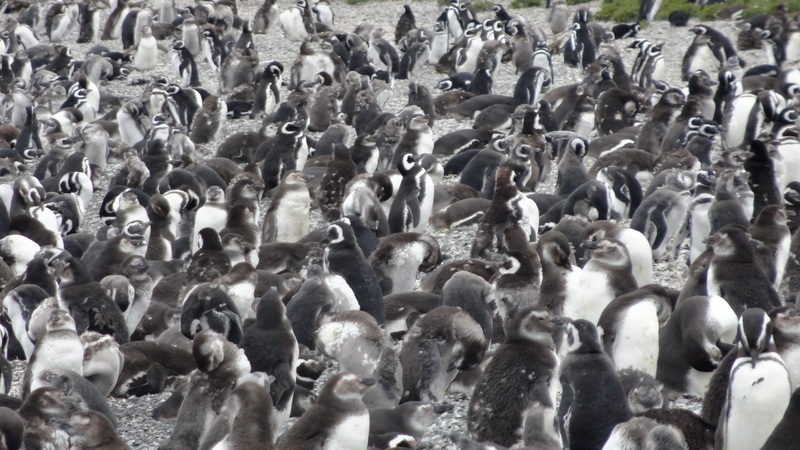 Our Antarctica biologist studied penguins in Antarctica for his whole life, and he was old. He told us about this. He used a trash can lid to deflect the vomitus. So maybe they just didn’t like the Antarctica biologist. He was always capturing and tagging them. Or…… you could google it! They were very nice to me and would be to you too! When in Penguin land, act as the penguins? I must remember to stay on their good sides. 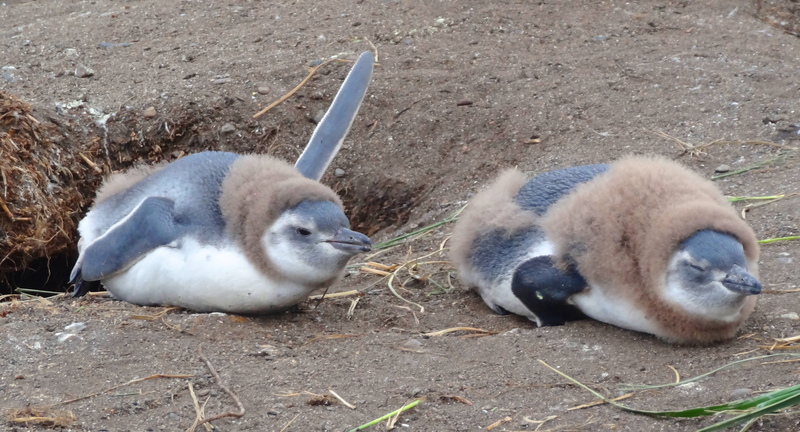 They are certainly fuzzier furrier creatures than I thought, but then I’m sure every penguin is different. A lovely, educational post! Exactly! Kinda the same with all animals, no? All the penguins (and I) want to know is when you are coming. They are waiting for you. Bring your dog. When we went to Antarctica, a couple brought their toy poodle. They said he was an assistance dog due to heart problems. We all have heart problems, so you can bring your dog. You are so right. This sort of information is critical to everyone, in the event they meet several thousand penguins unexpectedly. Oh MR. Barton, I will respect your anonymity! 🙂 Thank you Paul! You are by FAR my favorite cousin and you deserve all these awards and more for you are a real talent. Thank you! Cindy, Mr. Barton was my father. I am and will always be just plain Paul. I much prefer that. (long story). I did too & so glad you felt as I did! Lovely little creatures! Now that is Up Close and Personal! Great photos once again! Just got home! Enjoying your posts but no time to comment yet! Thank you for your kind commnents! Yes I am organizing for posting now. Enjoyed your last few posts immensely! Cheers! Yes! Mine were happy too! Harrassing them. Getting angry or emotional or acting in an uncalm manner around them. Harming any of them of course. They like you if you scrunch down to their eye level, move slowly and let them take the lead. They get sad when you leave!!! Thanks, Cindy. I see I have a lot in common with penguins. It was touching that you wrote they get sad when you leave. Been loving following this and the back and forth with other readers and you. So glad & much appreciated! Thank you! My husband (Michael) is an animal-lover, big time! Even in his worst moments, if you show him an animal, it is enough to make him smile. He ‘loves’ birds! When we were going to see penguins (which we couldn’t) he cautioned me about how to deal with them because they are quite temperamental. 😀 Fae. You husband and I have much in common then. He sounds wonderful! Cindy, so what do penguins do if the LIKE you? Almost afraid to ask. They follow you around. They stick their heads love and stare at you. They come up to you and stare at you. They pick gently at your clothes. When you get in the zodiac to leave their island, a bunch of them jump in the water and try to follow AND they come up to you, stare at you, pick a bit at your coat, and then fall asleep right there next to you. When a bunch of penguins fall asleep right next to you, you know you have been accepted. I hear camels like to spit too. Nice post. How enjoyable–the images, the commentary, the colors, the chicks. The post brought a smile and thanks for the tutorial. It makes me happy that you enjoyed it! Thanks! I never knew this information about penguins. So glad they love you!! Great post Cindy! No matter how vile they can act when unhappy, they’re still cute to look at! They are polite as can be as long as you respect them….like most living thingsm no? They are cute too!! How lovely of you! Thank you! Thank you & yes indeed, I will be reading the rest of your posts! Wonderful!! LOL- at the science tidbit! I have to be more careful when I visit them but, they are so darn cute! Yes, one does not want to displease a penguin!!! I saw the Linda Blair exorcist movie when I was 16 and couldn’t sleep for three nights after. That is the scariest movie I ever saw. Thank you for cracking me up! I must confess that sometimes I only read the cartoons in The New Yorker. Don’t tell anyone, especially my mother. She gives me a subscription as an annual gift. lol. I love that boy’s comment! We traveled with a PhD naturalist to Antarctica who studied penguins there for his entire career….He told us this fun factoid! laughing…. Beautiful pictures Ms Cindy and great commentary. Wonderful of you to say and most appreciated too! Cindy, I always love your commentary on your photos. This one, in particular, was very clever! Were you on a cruise? I would like to take an Antarctic cruise sometime. Where did it start and end? Thanks my friend. I highly recommend going to Antarctica. It is the most incredible place on the planet. Cruises leave and return from Ushuaia Argentina which is gorgeous in it’s own right. I hope you go!